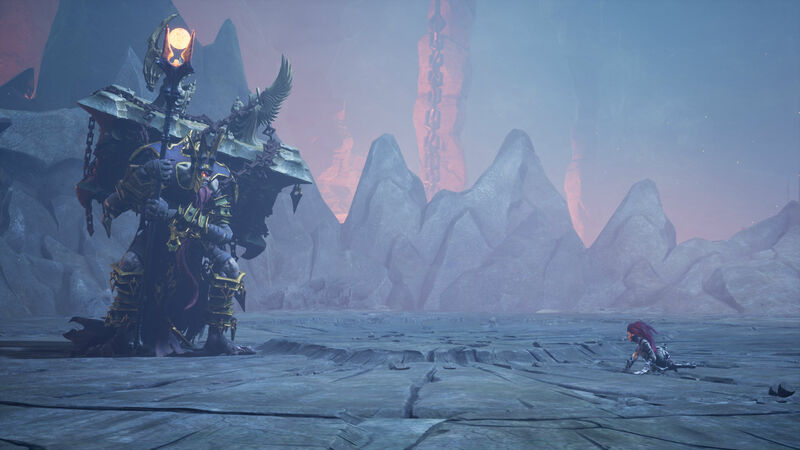 Darksiders has always felt like it belonged on the fringe. The whole "edgy Zelda" mask it wears so fondly was a major turnoff for some, but I bought right into it. Maybe it was Mark Hamill's devilish turn as The Watcher that really drew me into this world, but it was artist Joe Madureira's hellish beauty that kept me coming back. Sure there's padding issues and other nitpicks, but the strong locales and the more than serviceable action help cement this series as an actual action contender. After six years in limbo it's returning to answer the call of fans: but the real question is whether or not it will hold up under scrutiny in 2018. It does. And scene: end of review. No, I'll clarify that statement lest I feel the flame of hell itself: it absolutely holds up if you're willing to put up with some of the same vices that have plagued 3D action games since their inception. So there's a few major changes that all seek to sort of bring the game back down to Earth after the (some would say needless) push for complexity in the second entry. Loot is gone, because, according to the developers, "Fury's abilities are stored inside her hilt." Okay, that's a cute hand-wavy lore reason for the removal of complicated concepts, but the tradeoff is one giant world and lots of holdover mechanics from existing games. So...Fury drinks replenishable flasks now to restore her health. And shatters souls for currency (used to upgrade stats or weapons). And...can get her souls back after death by returning to the scene of the crime. Get the drift? All of it is an effort by Gunfire Games to modernize the series and most of their work pays off. I don't miss the granular loot. Having to math out which item was better in Darksiders II was often a chore, even if it did bolster the idea of multiple builds in higher difficulty settings. Fury's tale has a different feel to it and I appreciate that each game is unique in its own way. Part of that vision is realized in Fury's "forms," which provide access to all sorts of new weaponry as well as abilities like a vertical triple-jump and a hover. Again, Fury is the most streamlined Horseman yet, but still maintains a sense of identity through her whip. Instead of a deprecating demonic force following you around your new Watcher companion is basically your own personal cheerleader. She never hits that sour spot where she's too annoying; it's more like cleverly penned devilish flattery that allows it to work. 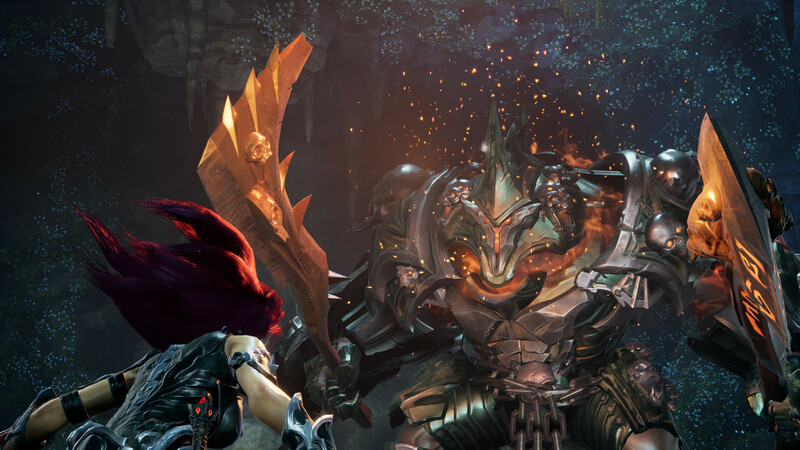 Darksiders III ups the ante with the fan-favorite "battle the seven deadly sins" gimmick. It's something that's been done in nearly every media realm and it hasn't gotten old yet. Call me a sucker for occult/demonic iconography, but there's something special about discovering new interpretations for age-old myths. Gunfire Games is able to sidestep the disconnect between the games (hiatus? What hiatus?) by asserting that Fury's quest takes place at the same time as the first Darksiders, which, as it turns out, is happening in tandem with the sequel. For a series that mostly hones in on action and absurdity it does work, even if the "we can do living retcons whenever we want" premise is wearing thin. Darksiders has always scored points in my book for its interactions between its over-the-top Mephistophelian cast, not necessarily because of the "who is betraying whom" narrative. For those who are wondering: this entry does move the overarching story along, but only a tad and mostly in the finale. 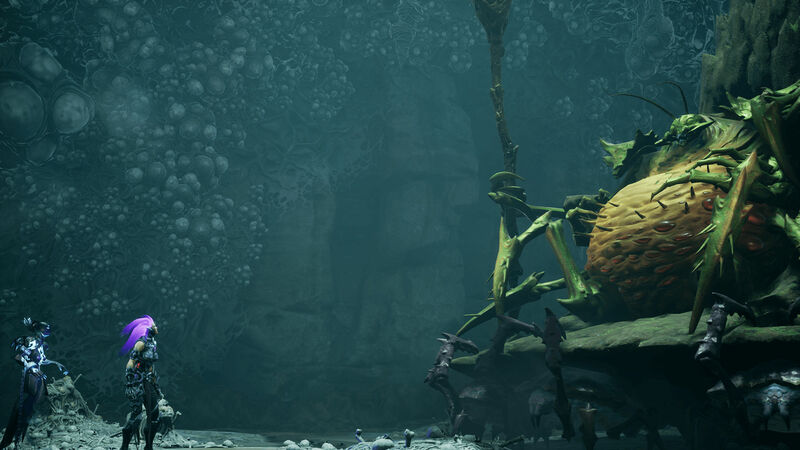 Naturally for these Darksiders titan-level encounters you need a good combat base. 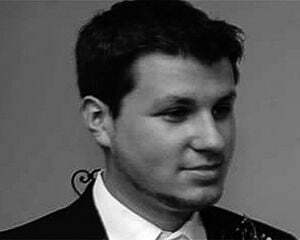 Gunfire Games isn't entirely green in the arena of action as they are comprised of many developers of the original series and more recently worked on the [good] Darksiders II remaster. 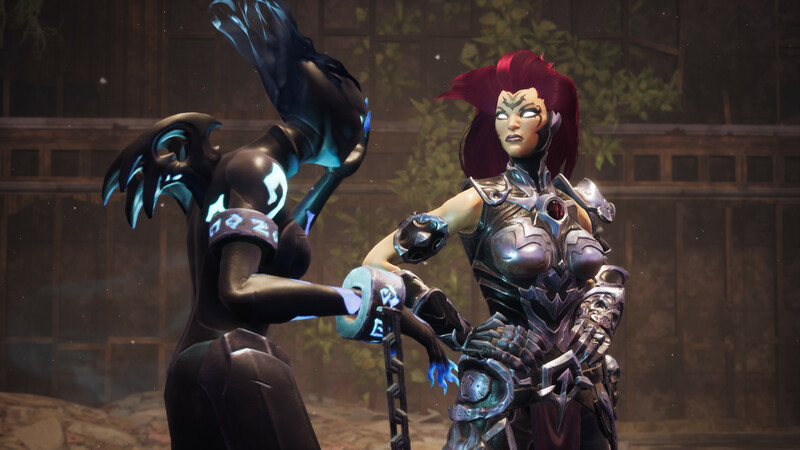 Still, I worried quite a bit in the buildup for Darksiders III that they would both do right by the series and give Fury a distinctly different feel from the rest of her comrades: just as Death did when juxtaposed to War. Fury is more like Death in that her mobility is her biggest strength but also sports the restrained movements of War. Dodging and double-jumping are what you're going to be doing most often, and swapping between forms really reminds me of a certain Capcom hero in the best ways. Though she eventually has access to more toys, her whip is a good catch-all area-of-effect whirlwind that works well out of the gate. Even though I had access to secondary weapons throughout I always felt comfortable using the whip. It all sounds good so far right? Well, while Darksiders III does benefit from the scaled-down mechanics it takes a hit in other ways. My main issue with traversal is that it feels limited. It's the same sin Prince of Persia 2008 commits; it gives you a few tools to move about but only lets you use them in certain areas. The non-organic whip swing is a perfect example: it feels like you should be able to use it way more than you actually can. It all makes for a less connected world than Gunfire promised, perhaps best highlighted by the fact that I frequently forgot to go back to the hub forge to upgrade my weapons. That all funnels into the perception that the entire progression system lacks panache. A lot of emphasis is put on leveling up to outpace the increasingly powerful threats the game throws at you, but the act of leveling and even upgrading weapons with socketed runes is frequently dull, almost like the team pulled back too much from the million-item Darksiders II system. There is a middle-ground, they just haven't found it yet. While the character design and the artwork is spot-on, the environments look like they were grafted out of a game several generations ago. Now for me, that's fine! I can regularly go back to PS2-era action games and heartily enjoy them without ever pondering the merits of screen tearing or anti-aliasing. But there are a few locations that transcended notions of "feeling dated," as they were too barren for their own good. The fact that it's a bit shorter than the first two entries (it took me around 10 hours to see the credits and five more to mostly clean things up) might be a plus for you. On my second go-around, skipping cutscenes, its speedrun potential really shined through. Most of my complaints are related to the RPG bits which are not the main focus of Darksiders III. It remains an action-fueled project and that's an angle it does well, reigning in some of the out-of-hand ideas from its predecessor. With all of the efforts to resurrect this once dead and buried series I hope there's a chance to wrap it all up with Strife: I want to see this story through until the end, blemishes and all.